The Samsung S4 is beyond doubt a remarkable phone. It is thinner and lighter than its predecessor Samsung Galaxy S3. Plus, it is packed with more advanced features that make it a hot product on the market today. In fact, it has reached high volume of sales which is comparable to the ever popular iPhone 5. It has a larger screen, long lasting batter and processor beyond compare. It is a state of the art smart phone that provides all the best features that you can imagine. Its power is more than other Android mobile phones that you can find these days. It is certainly better as it is the product of constant innovation and advancement only from one of the leading companies in terms of mobile phone manufacturing – Samsung. Since it is a powerful phone, it is highly advisable that you learn more about its features as well as the short cuts and tips in using it in order to unlock its full potential. 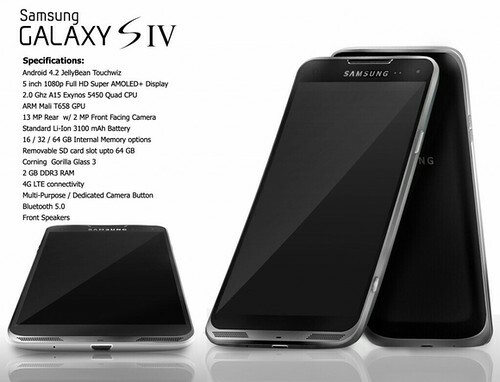 Samsung S4 comes with front and back camera. The newest flagship from Samsung certainly has a lot to offer including its dual camera functions and scrolling capabilities. This phone lets you capture pictures and videos using both cameras. The front camera has a capacity of 2 megapixels while the back camera has 13 megapixels. Both of these cameras can take excellent shots. Just press the camera button on the side portion of the device and you will be automatically prompted to the camera. From there, you can switch between camera and video functions without any hassle. The major advantage is that you can take self videos and shots without any hassle at all. Scrolling is also very easy with the Samsung S4. Unlike with other Android phones, this device features the Smart Pause and Smart Scroll short cuts. The Smart Scroll allows you to scroll through different applications without accidentally choosing the wrong application. You may also tilt the device forwards and backwards in order to scroll through the applications in the fastest manner possible. The Smart Pause is another amazing thing as it lets you put a video in pause mode as you look away from it. Smart call feature of Samsung S4. Another great shortcut for the Samsung S4 can be utilized through the Smart Call feature. With this, you can actually accept a phone call with just a wave of your hand over the phone. This action will instantly turn on the speaker and will make you start the conversation so easily. This feature is most beneficial if you are driving, doing household chores, doing the grocery or you are just too busy doing other activities. You may also use this feature to shift from one song to another with just a wave of your hand. This is an incredible feature that you will certainly love to use each time you are using your phone. • Basically, Samsung S4 is equipped with various types of pre-loaded sounds. Well, the sound in default setting can be quite annoying. But you can remove it by simply going to the Settings portion and proceeding to the “My Device” portion and tap “sound”. Scroll down to the “Touch Sounds” option and then deselect the default sound. • Do you wish to mute an incoming call right away? Well, there is no need to do a lot of things. All you need is to cover your S4 using your palm or flip the device over in order to turn the call into mute mode. • Another great shortcut option for the Samsung S4 is the Smart screen option. There is no need to go through many options since the camera automatically detect your head in order to make the screen stay to where you are facing. • Do you wish you can run more than one app all at the same time? You can do this easily with the multi window option. This allows you to run applications through split screen atmosphere. Although this works only with limited apps, it enables you to do multi tasking such as listening to music while browsing. This can be accessed through the Display option. • If you wish to text someone in the fastest way, all you need to do is to go to the contacts list and perform a swiping motion on the name in order to create a message. Also, you may swipe to the right direction in order to make a call. • At times, you may notice than there is some sort of latency when you press Home. This delay can be easily eliminated by turning off the S voice function. All you need to do is to go to the S voice. This can be done by double tapping on the Home button and disabling the option “Open through home key”. By doing this, you will notice that there is a great improvement with the speed. The Samsung Galaxy Note 2 comes with a stylus pen that lets you take control of your screen. In Samsung Galaxy S4, you do not need any stylus pen or external accessory to perform functions. All you need to do is to make use of your finger or hold it over a particular area where you wish to conduct the Air view function. Other than this, there are tons of other functions and shortcuts to use the Samsung S4 a lot easier. If you wish to make good use of your Samsung s4 phone for a longer time, protect it with accessories like cases and screen protectors from stores like sfplanet.com or Greatshield. Sandra Cowell is an experienced freelance writer focusing on technology topics. She has spent long years in writing about the latest mobile gadgets and technologies.